If you are going to move specific posts from one blog to another - and continue to publish both blogs - you have to add extra steps to the process. Use "Import & back up", on the Settings - Other dashboard page. 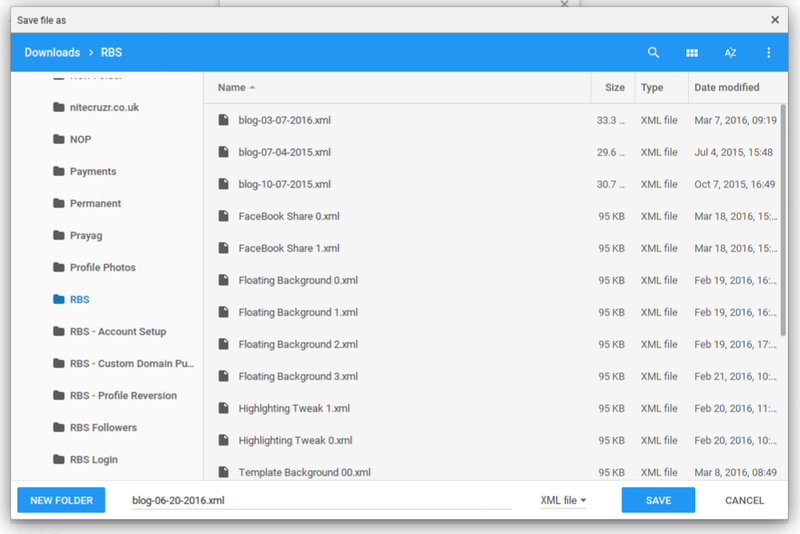 Export all content from the first blog. 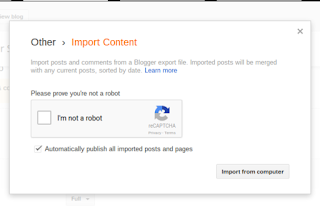 Import all exported content, to the second blog, as "Imported". 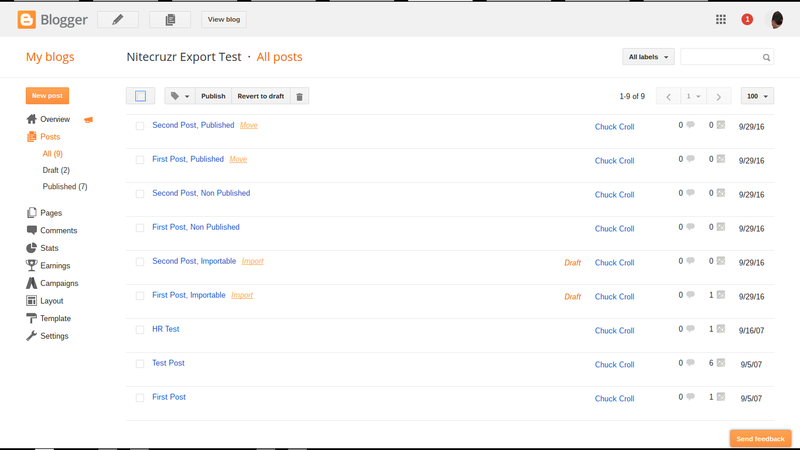 Publish imported content, selectively, in the second blog. Delete content re published, from the first blog. Setup custom 404 or custom redirects, from the first blog. Remove imported yet un published content, from the second blog. 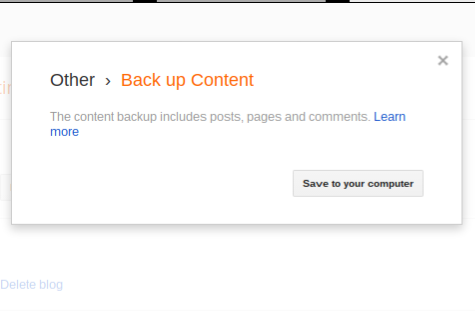 Using the "Import & back up" wizard, on the dashboard Settings - Other page for the first blog, click "Back up Content". 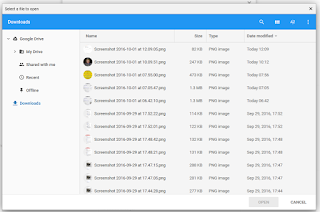 This will export all pages and posts, in the blog, to the file which you select. 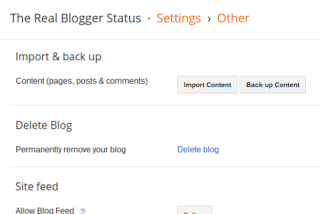 To make it easier, label the posts that you want to "move" to the other blog, before you start "Back up Content". I labeled my posts "Move". Now, "Back up Content", from the first blog. 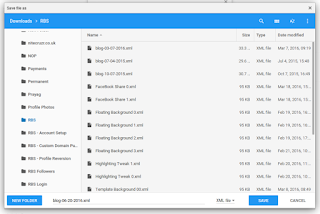 Use the file manager provided by your operating system, to create or select a file / folder, and actually save the file. Using the "Import & back up" wizard, on the dashboard Settings - Other page for the second blog, click "Import Content" - then find and select the file just created. 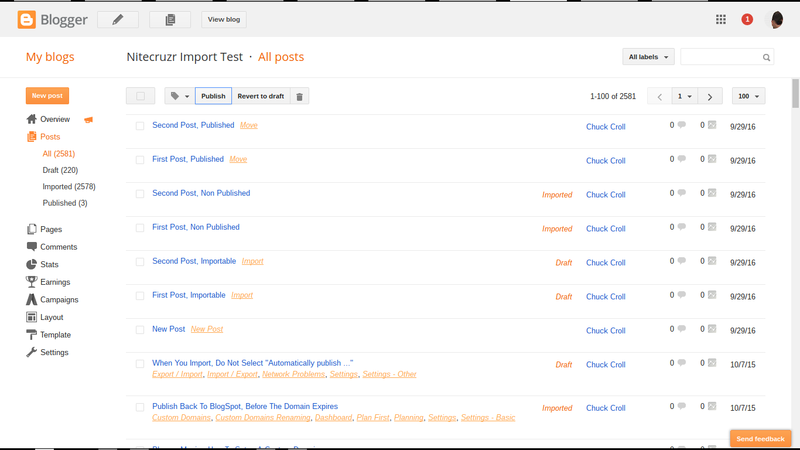 This will import all pages and posts, as exported from the first blog - and place the imported pages and posts in the special "Imported" status, on the Pages and the Posts dashboard pages. Continue with "Import Content", to the second blog. 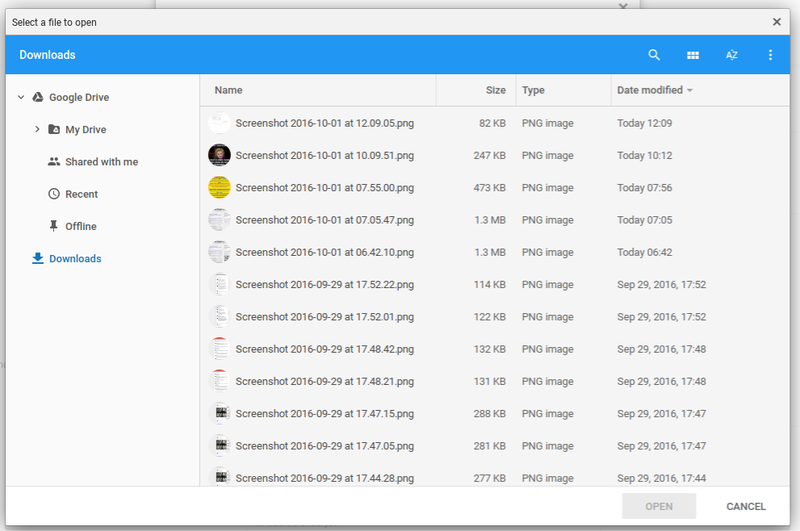 Select the file that you just created, above. And having Imported everything, there are the posts - including those labeled "Move". 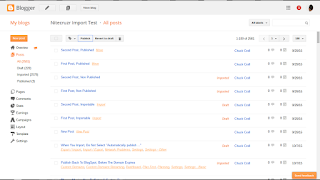 Using the "Pages" and "Posts" dashboard pages, select the newly activated "Imported" menu, as you wish. This will list all imported pages and posts, in turn. 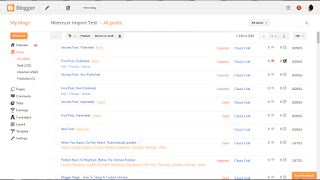 Find the pages and posts that you want moved, select them, and click "Publish". If you labeled the posts to be "moved", simply display, and Publish, all posts with the designated label. And, I Published the posts labeled to be "moved". Note that, once Published, the "Imported" status is cleared. Delete or revert content re published, from the first blog. 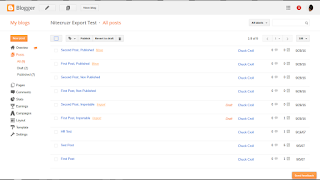 To prevent problems with search engines detecting duplicate content, you can delete or revert to draft status, each post in the first blog, the you just re published in the second blog. If you revert to draft status, you will have backed up content and a recoverable page / post URL. Again, if you labeled the posts, you can delete or revert posts using the label. 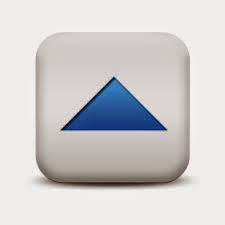 You cannot use a custom redirect to automatically redirect from the first blog to the second. You can, however, setup a custom 404 page, in the first blog - or make custom redirects to a custom 404 page, in the first blog - advising the reader that the post just requested is now part of the second blog. The reader will still have to intentionally click to jump into the second blog - but until Blogger blogs are not used as spam hosts, this will be necessary to avoid making your blog look like a spam host. And as noted, please don't use this technique to re use a single blog. 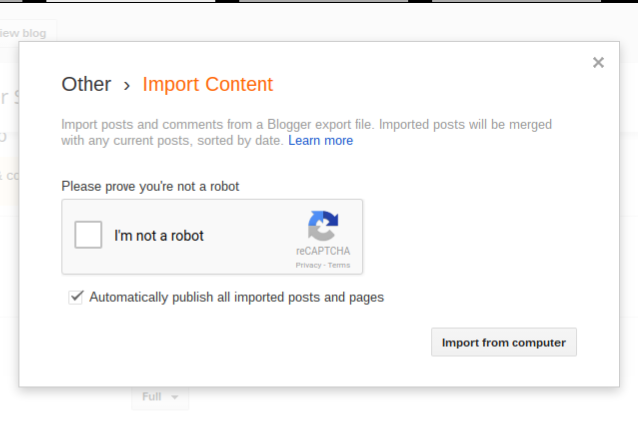 Duplication prevention will generate suffixed URLs, for pages and posts exported then imported to the same blog. As a type of basic hygiene, once all of the posts are moved ("published"), remove all imported content that isn't published. If you ever repeat the exercise, you won't enjoy the duplicated content, that you will have to identify, from having Exported then Imported, twice. The "Import & back up" #Blogger dashboard wizard can be used to copy pages and posts, from one blog to another. Actually moving content requires more than just exporting from one blog, and importing to a second blog. What would I have to do if I want to change the name of my already customised domain (into another customised domain name)? Would I have to wait for the subscription to expire? You should not wait for the current domain to expire - unless you want to start over with publicising the blog, and the domain. With the blog based on the published domain URL, your situation will be somewhat more dire than when you initially migrated to the previous domain, from BlogSpot. Wile the current domain is still active - and paid for - you want to setup the new domain, publish the blog from the current to the new domain, and forward from the (currently) current domain to the (currently) new domain. This is the same process as setting up two domains, and one blog.